Here is a beautiful holiday home to enjoy a relaxing stay in the Val de Loire region. Located in Amboise, 27km away from Tours, it offers all the comfort for an unforgettable stay. Here is a beautiful holiday home to enjoy a relaxing stay in the Val de Loire region. Located in Amboise, 27km away from Tours, it offers all the comfort for an unforgettable stay, with a beautiful indoor pool and sauna for moments of absolute relaxation. Very spacious and bright, a large family or friends will be at ease to spend time to relax and enjoy a well deserved holiday together. With four bedrooms and three bathrooms, everyone will have their comfort. A lovely garden and a terrace complete the set. In this region rich in history, you will make beautiful discoveries, starting with Amboise and its superb Royal Castle, but also the Château Gaillard, the Clos Lucé or the Saint-Florentin Church. To discover all the beauty and magnificence of this unique region, a hot air balloon ride will delight all the family! A visit to the Duhard Caves will be ideal for lovers of fine wines while the Grand Aquarium de Touraine, a few kilometers, will delight both young and old alike. The magnificent Château de Chenonceau awaits you a little further, as well as the Zoo de Beauval (40km). Tours is a city that is definitely worth a visit and you can admire the beautiful Cathedral Saint-Gatien, the Basilica of St. Martin or the Museum of Fine Arts. The Priory Saint-Cosme, the Cloister of La Psalette or the Lac des Bretonnières for days of nautical activities ... everyone will find happiness. And back at your vacation rental, you'll love diving in the indoor pool or enjoying the sauna! This solidly constructed villa was originally built in 1876 and refurbished in 2017. The agent has rated it as a four star property so it is a well-equipped villa with above average furnishings. It is also great value for money. 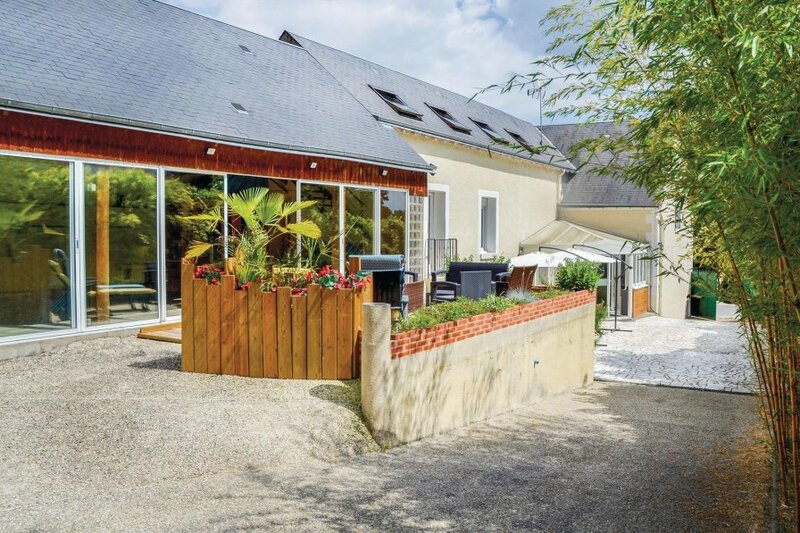 This villa has a swimming pool and is located in Nazelles-Négron, 27km from Tours. The nearest airport is only 26km away. It is set in a good location: there is a restaurant 1km away.